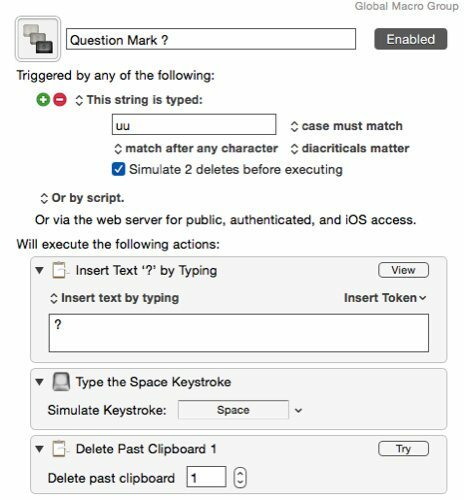 In my humble opinion, triggering automations while typing is the best, fastest and most efficient way to use Keyboard Maestro. 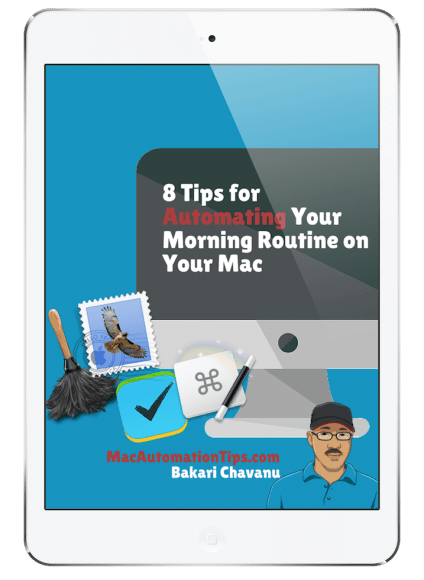 If you’re familiar with Keyboard Maestro, you know there are several ways to trigger macros, and one method includes typing a string of two more assigned letters. 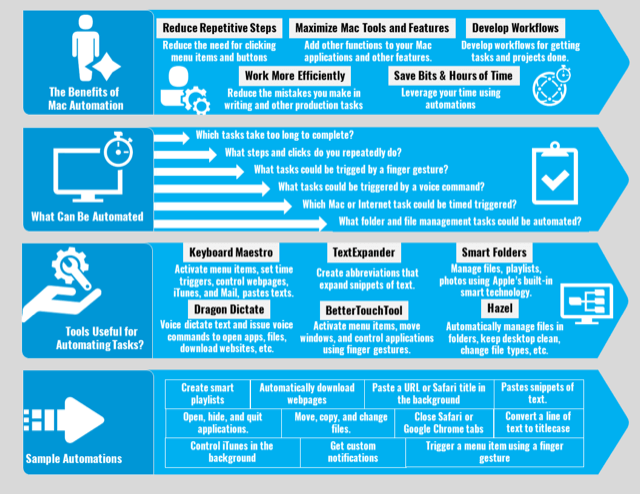 The string trigger means that you don’t have to remember a keyboard shortcut, and you don’t have to lift your fingers off the keys to trigger an action. A typical string for triggering actions consists of a combination of one or more letters that typically don’t make up an actual word, though you could join two words together to use as a trigger, as I will describe in this article. I try to select letters that are close to one another and don’t require lifting my hands off the keyboard or looking down at the keyboard. I try to choose characters that resemble the action it’s triggering so I can remember it easier. I use some strings only in particular applications, instead of adding them to global triggers. 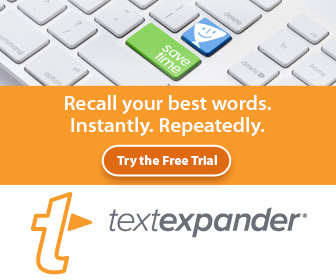 I make sure a string doesn’t conflict with a TextExpander snippet abbreviation. 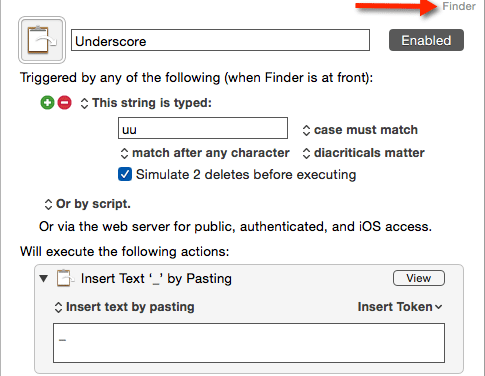 One of the KM macros I use on a regular basis is an action that inserts the underscore character in text. I mainly use underscore when naming files on my desktop. Thus, the text insertion action and macro I use only works with when the Finder/desktop is the frontmost application, and also in Photoshop, for when need to rename files. The string I use is “uu”, for “underscore.” I use the same string in other applications to insert a question mark at the end of sentences. I find Keyboard Maestro works better than TextExpander for inserting characters like this one. 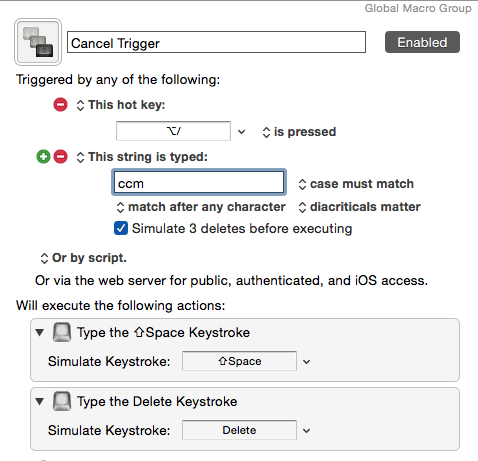 The default setup for using string triggers is “the case must match.” But note the other available options, including “case affects actions.” This means, you could use the same string combination, but in one case, for example, you use a capital and lowercase combination, such as “Jz” and in another you use, “jz” for a different macro. Note: if you want to temporarily override a string trigger, you can type the first letter of the string, then press Shift+Space, hit the Delete key, and then type rest of the string. Of course, I just turned that key combination into a string trigger so I can execute while typing. The following are examples of strings I use for various purposes. 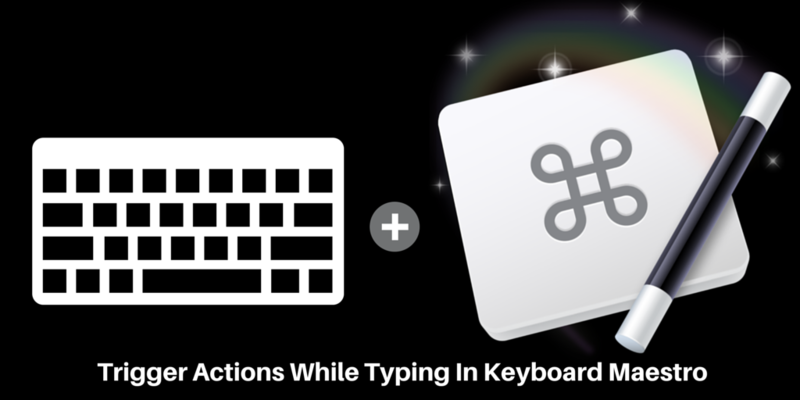 I provide the examples to show what is possible in using Keyboard Maestro. The string combinations can be used anyway you like. I use about few dozen more strings that each only work in specified applications. What Are Your Strings Triggers? There’s no limit to the string characters that can created and used in Keyboard Maestro, though again, I find the best combinations to be easy to type and remember. I hope you found the sample string triggers useful. Please share a few of you own. 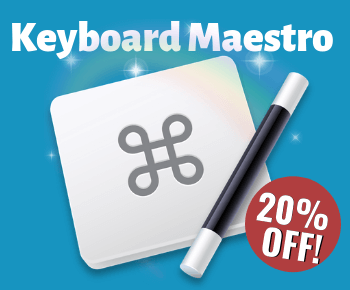 I’m always looking for ideas to boost my productivity using Keyboard Maestro. Also, if you have any questions about stringer triggers, ask them in the commend section.